We’ve been seeing an increase of social media accounts getting hacked. Members who’ve been devoting time and energy to growing their following see all their work disappear overnight as someone takes over their Instagram account, changes their email/password, and locks them out. Sometimes they ask for money to restore the account. Sometimes they just wipe it out maliciously with no way of getting in contact with them. Some of these accounts are restored by Instagram, some are not. Those unlucky ones unable to get Instagram to restore them, have to start from scratch. Don’t let your hard work vanish before your eyes. 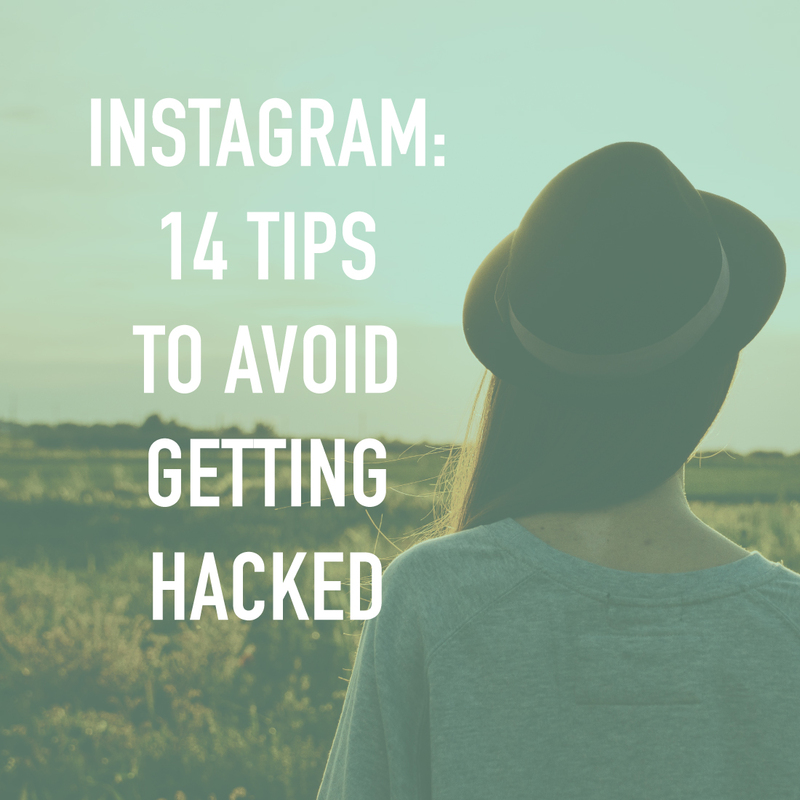 Make a few changes to reduce your chances of getting hacked and locked out of your Instagram account. In this article, we’ll be focusing on social media and your website, but these tips are also relevant when it comes to your bank account, and any other sensitive information you’d rather not fall into the wrong hands. Phishing is when a hacker tries to convince you to give them your username and password by sending you a spoof email that imitates an email from a service provider like a social media network or bank. Spoof emails are getting better at looking like legitimate emails from services you currently use. It’s getting harder to tell if an email is a genuine notification from your bank account or someone is trying to steal your personal information. What can I do to protect myself from phishing scams? 1. Don’t click on links you receive via email. Go directly to the website or app to find out if the notification is legitimate. The convenience of connecting to the coffee shop or airport hotspot is so wonderful. Unfortunately, you may be taking privacy risks when connecting to public wi-fi. Other people connected to the same hotspot could be digitally eavesdropping your online interactions allowing them to see your usernames and passwords. What can you do to protect yourself on Public Wi-Fi? 3. Do not login using your app on your smart phone. Go directly to the website on a browser using HTTPS. For example, use Safari to login at https://www.instagram.com instead of using the Instagram app on your phone. 4. Make sure you logout of your account once you’re done using it on your browser. 5. Use your phone’s hotspot if you have this feature available in your mobile/wireless plan. 6. Don’t login to sensitive websites like your bank account on public hotspots. 7. Disable your auto-connect settings to Wi-Fi and Bluetooth. 8. Pick a strong password. Use a combination of at least six numbers, letters and punctuation marks (like ! and &). It should be different from other passwords you use elsewhere on the internet. 9. Change your password regularly, especially if you see a message from Instagram asking you to do so. During automated security checks, Instagram sometimes recovers login information that was stolen from other sites. If Instagram detects that your password may have been stolen, changing your password on Instagram and other sites helps to keep your account secure and prevent you from being hacked in the future. 10. Never give your password to someone you don’t know and trust. 11. Turn on two-factor authentication for additional account security. 12. Make sure your email account is secure. Anyone who can read your email can probably also access your Instagram account. Change the passwords for all of your email accounts and make sure that no two are the same. 13. Log out of Instagram when you use a computer or phone you share with other people. Don’t check the “Remember Me” box when logging in from a public computer, as this will keep you logged in even after you close the browser window. 14. Think before you authorize any third-party app. Are you following these 14 tips? Have you had a security scare online? Let us know in the comments and let’s start a conversation about online security.